Rebecca Friedrichs, the main plaintiff behind Friedrichs v California Teachers Association et al has not been working alone. 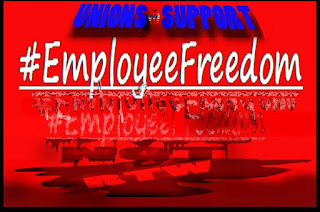 She has been a strong proponent of National Employee Freedom Week (NEFW). While the list behind the coalition of NEFW does not sound like the “who's who” of corporate educational reform, the size of this organization is disconcerting. All but eight states have organizations that support this cause which advocates for privatization of public education and destruction of unions. It is important to know who the players are. 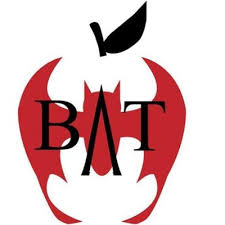 The two national founding partners behind this endeavor are the Nevada Policy Research Institute (NPRI) and the Association of American Educators (AAE). A person may question why NPRI is involved with such an endeavor, but keep in mind that this endeavor will not only hurt education, it will influence other unions. Las Vegas Casinos are a huge union industry. The devastation of unions for this city would be very beneficial to casino investors while being very harmful to the workers. This is evidenced in Atlantic City by Carl Icahn's recent replacement of pensions and benefits with 401K plans and insurance under the Affordable Care Act. When you look at the Board of Directors for NPRI it is glaringly evident that this organization is stacked heavily with people that would seem to have a heavy personal interest in any union busting agenda. There is no voice representing middle or lower class citizens on this board. The list of Board members views as people that are directing policy, affecting thousands, while benefitting themselves. At first glance, a person can see the business connections of this organization and see how following this agenda of union busting could personally benefit them. Digging deeper, other ties can be found. According to Sourcewatch, a center for Media and Democracy that tracks ties to ALEC there is a link between NPRI and the ALEC-connected Franklin Center for Government and Public Integrity. Sourcewatch has this organization listed for its funding of reporters across the country that are known for reporting with a conservative bias. Expand the lens on NPRI to see that the organization is part of a larger group, the State Policy Network (SPN). The website for SPN touts school choice programs right on the homepage. The State Policy Network has created Heritage Foundation-like groups at the state level and has been exposed by the Center for Media and Democracy of being a main driving force of the ALEC agenda. The Association of American Educators states on their homepage that is the largest national, non-union, professional educators' organization, advancing the profession by offering a modern approach to teacher representation and educational advocacy, as well as promoting professionalism, collaboration, and excellence without a partisan agenda. When you look at the staff list the last part of a partisan agenda comes into questions. Members on the staff have previous ties that display an agenda that can be said to have personal benefit, as well as involvement, with ALEC's political agenda. The Association of American Educators Foundation Board (AAEF) has its own share of members with questionable intentions. While there is a presence of teachers on the Board, there are people with ties that are not necessarily in alignment with what we feel is best for our public schools. When looking at all of this background, the pieces begin to fall in to place. The connections to ALEC and the Koch brothers are evident. The union busting agenda is present. The corporate Charter School Movement is participating and the profit making online education providers are getting their share. 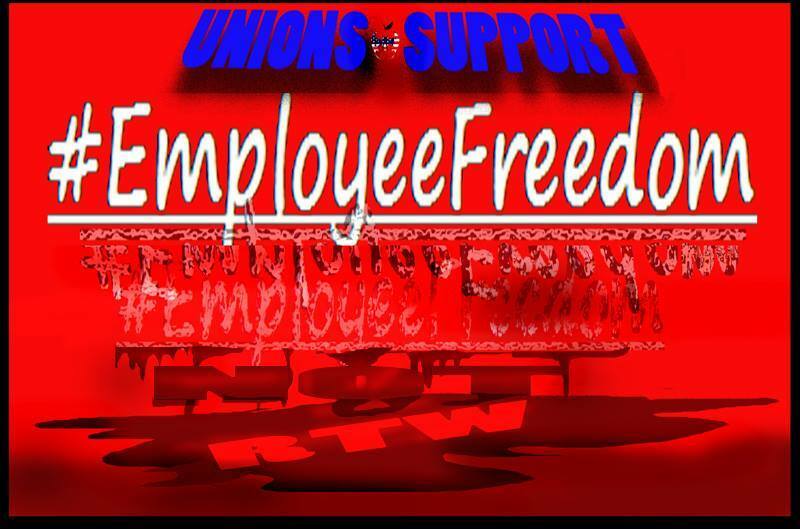 The sponsors behind Employee Freedom week strive to have anything BUT employee freedom. I am writing because of the concern I have regarding a case that you will hear in the fall called Friedrichs vs. CTA. I am a public school teacher/parent ((insert your position for the letter)), and the nature of this case concerns me. The power for our teachers to unionize is an important and vital aspect of public education. I am in a teachers union/I support teachers unions (insert your position for the letter)). I see the value of unionism for our children, our schools, our community, and as an important cog in the wheel that fights for social justice. Unionized teachers are given the power and freedom through collective bargaining to be strong advocates for children and the communities they serve. States in which there are strong unions tend to have higher state funding. In the nation, we have ten states that are non-union. Of those ten states only Virginia scores above the median. It is clear that states without teacher unions and contracts are NOT doing better. http://voices.washingtonpost.com/answer-sheet/guest-bloggers/how-states-with-no-teacher-uni.html We need and want better for all of our children. In fact many in education reform today look to the Finnish education system as the pinnacle of education. Pasi Sahlberg, the director of Finnish Ministry of Education and Culture, stated, ""Without the union, we really cannot implement anything. Its role is securing and protecting the rights of teachers. It's a very important part of the system." In regards to the Friedrichs case, we feel that the basis for this claim is suspect. The fact that the lead plaintiff in the case, Friedrich, speaks for vouchers, against a teacher's right to due process, and against teacher pensions is beyond disturbing. As an educator in the field for over ___years I have seen vouchers pull much-needed funding from our public schools. Teacher due process gives teachers the job protections they need to advocate for children. The pension system secures teachers, who are not lavishly paid, a stable retirement. Why would any educator speak out on an agenda that seeks to destroy public education and the teaching profession? The claim is suspect in my humble opinion. Roberts gave this case to Scalia? OMG. Not a good sign.